When you inherit money or you are making plans for who will inherit your wealth after you pass away, it is important that you understand the rules for inheritance tax and for estate tax. If an inheritance or estate tax (or both types of taxes) will be charged after your death, this can create substantial financial hardship. You have options to try to avoid taxes triggered by a death, but you need to know specifically how these taxes work, which will apply to your estate, and what you can do about it. 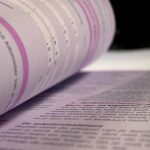 Nirenstein, Horowitz & Associates can provide you with assistance understanding the Connecticut rules for estate taxes. Our legal team can also explain to you the federal estate tax rules that apply and can assist you in determining if your estate is taxable or if your heirs will be subject to taxation. One of the key differences that you need to understand is the difference between estate and inheritance taxes, which are not the same. The assessment of estate tax is determined based on how much your estate is worth, and it is the estate that pays the taxes. There is no estate tax owed on assets that are left to your spouse, but other than this special rule for spouses, the identity of those who inherit is not relevant to a calculation of estate tax. The same is not true for inheritance taxes. Although the rules for inheritance taxes can vary depending upon the state which imposes the tax, the rules are commonly structured such that the identity of the person who is going to be inheriting can impact inheritance tax assessments. Very few states charge inheritance taxes. 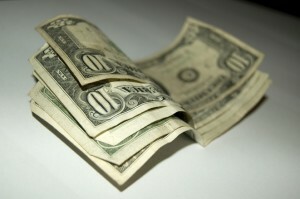 Tax Foundation indicates there are only six states in the United States that have this type of tax. Nebraska has the highest inheritance tax, with a top rate of 18 percent, while both Kentucky and New Jersey also have a top inheritance tax rate that is quite large at 16 percent. Although inheritance taxes aren’t that common in the U.S., there are more states that charge estate tax than inheritance tax. When you are making your plans for the transfer of assets after your death, you need to know whether or not the states where you own property and/or where you reside will impose either inheritance or estate taxes after you pass away. Planning ahead for the tax implications that occur due to your death can help you to find ways to preserve as much of your wealth as you can for those who you are leaving your money and property to. 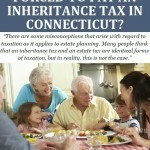 Does Connecticut Have an Inheritance Tax? The Connecticut Department of Revenue Services, explains that succession taxes in the state no longer apply to estates of anyone who died after January 1, 2005. Connecticut charges estate tax on larger estates, but no inheritance or succession taxes. The federal government also imposes an estate tax but not inheritance taxes, so unless you own property outside of the state of Connecticut, you should not have to worry that your heirs or beneficiaries will end up having to pay inheritance taxes. You should still talk with an attorney to find out if estate tax will be assessed based on the size of you estate and have an attorney help you make plans to avoid these taxes or reduce the amount that your estate will have to pay after you pass away. Nirenstein, Horowitz & Associates can provide invaluable assistance understanding the rules for inheritance tax and estate tax that will apply when you pass away. Our legal team will also work with you to try to help you to protect as much of your estate as possible by reducing or avoiding the assessment of taxes triggered upon a death. Join us for a free seminar to find out more about your options for tax planning as part of your estate planning process. You can also give us a call at 860-548-1000 or contact us online to speak with a Connecticut estate tax planning lawyer to find out more about your options for preserving and protecting your wealth and not losing a big chunk of it to the government upon death.